The yin of vivacious, after-dark partying balances Naples’ light-side yang of beaches and sunshine. 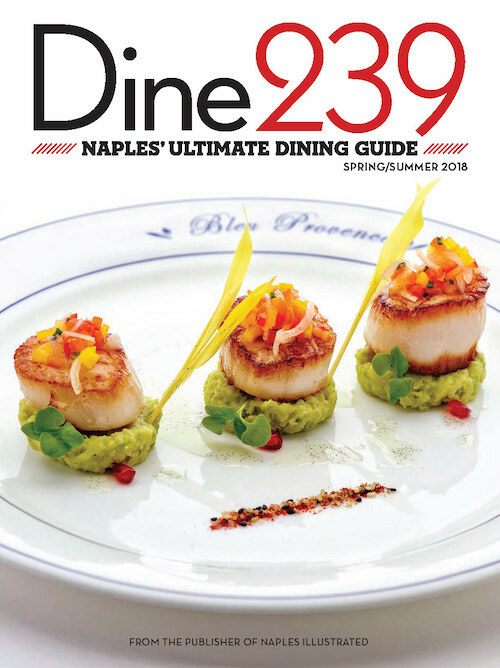 The area’s fluxing demographic of young professionals has sparked a burgeoning of after-work options and vitality, yet the beauty of Naples nightlife is its rich mix of ages, residents, snowbirds, and tourists. Here’s where to find the action. The big game (or small one, for that matter): What better excuse to gather with friends, hoist a few, and gnaw on some wings? All American Sports Bar & Grill Not your average dimly lit sports bar: Walls of windows lighten up the interior of this spit-and-polish spot with more than 30 TVs, 100 tequilas, and 100 craft beers. Score! 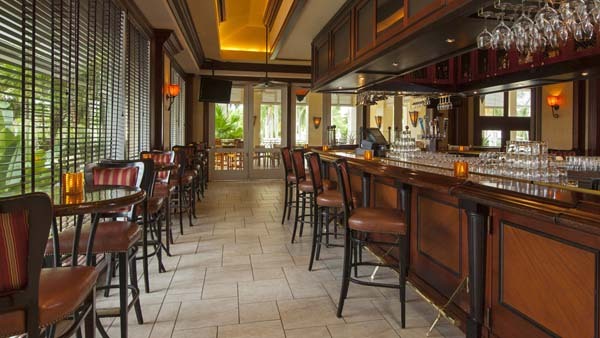 Bokampers Sports Bar & Grill Two locations in Estero and North Naples bring this South Florida chain to the local game. Although a Miami Dolphins sponsor, the franchise encourages rival team and other sports fans inside and outside, where TVs cover every conceivable space. Boston Beer Garden One of several local bars catering to New England team fans, it serves 50 different beers and game munchies with a Beantown accent. The true bar flies populate the outdoor bar and beer garden; an indoor space accommodates those who wish to eat while they watch the game on a plethora of TVs with 360-degree views. Foxboro Tavern TVs make a sports bar, and this supersized one in East Naples – named in honor of the late stadium for the New England Patriots – even has individual sets at some of its booths. Its food and drink menus cover all the usual bases, with a nod to New England: lobster dishes, clam chowder, clam rolls, and Boston baked scrod. Lansdowne Street This Bonita Springs pub and its newer Fifth Avenue South counterpart, Shea’s at Lansdowne Street, pay uninhibited adulation to the Boston Red Sox with replicated Green Monster scoreboards and authentic Boston pub décor. With TVs everywhere inside and out, and 15 beers on tap, it is game-on. 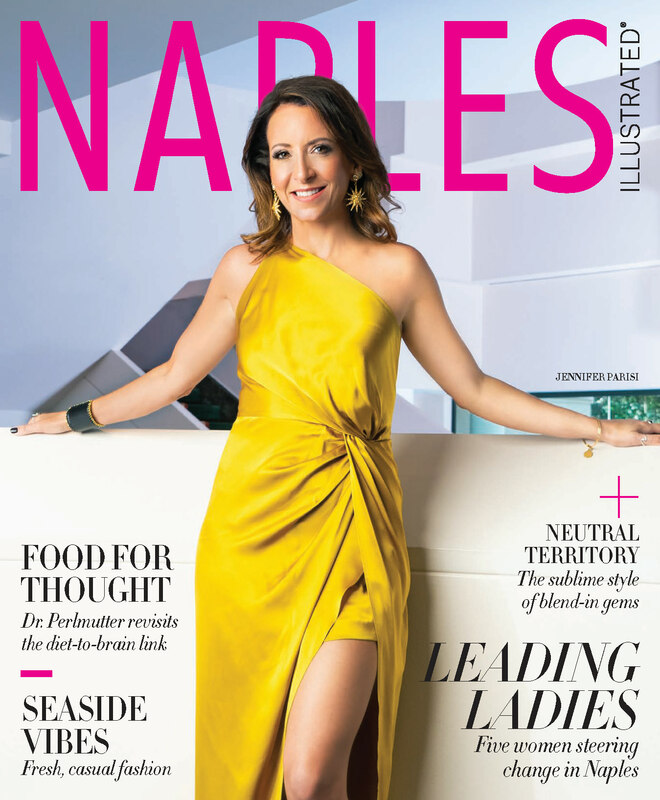 Mangroves Tucked into the lobby of Hyatt Regency Coconut Point Resort in Bonita Springs, Mangroves elevates “sports bar” a rung or so with an intimate clubby setting inside and patios with billiards and a view of the fountained pool. It serves your favorite cocktails with select noshes until midnight. Pelican Larry’s Raw Bar & Grill Naples’ homegrown, late-night sports bar now has three locations and a ton of loyal fans. The original on Pine Ridge Road is headquarters for the Green Bay Packers and Florida State University Seminoles, but you can catch just about any sporting event on its indoor and outdoor TVs. Cavernous and spacious, the indoor space surrounds its imposing three-sided bar and holds games and a kitchen that wins awards for its wings and raw bar. Tavern on the Bay Sports Bar & Grill A view of the game and the water? 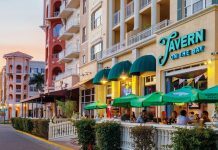 That’s purely Naples, and this sports bar in Bayfront Place attracts fans with its good looks, outdoor seating, and 130-inch HD TV. 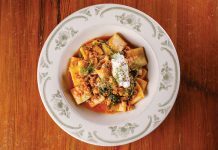 Downtown, it attracts more than just the sports crowd with its well-rounded menu, specialty drinks, and happy hour specials.